Even though the bugle rang at seven in the morning, like it always does, it was immediately clear that Wednesday, June 15th would be no average day at Timberlake. Campers and staff jumped out of bed and made their way down to the Tucker Inn for a camp favorite, Geometry breakfast! For all of you that haven’t had the pleasure of experiencing a Geometry Breakfast, let me explain it to you real quick. They’re basically breakfast sandwiches with biscuits, egg patties, hash browns, and cheddar cheese slices, and the unique shapes of each of the ingredients gives way to the name Geometry Breakfast. The sheer amount of potential items allows for maximum customization, and therefore, maximum enjoyment. Following breakfast came the Morning Yell, and after that came chapel. Today, Timberlake Director John M. spoke on the power of the cross, and showed the beauty of the Gospel to everyone sitting in the Chapel today. Next came cabin cleanup, and once peak cleanliness had been achieved, campers went their separate ways to the morning’s activities. Down at Camp Craft, Seminole Med Man Henry S. lit a one match fire in backpacking, becoming the first camper this summer to achieve such a feat. In tennis, Elliott J. showed great improvement in his overall game. Up the mountain at Airsoft, Ryan B., Riley D., Parker S., Jack A., Case M., Thomas W., and Ren G. all earned their bronze bars, and all are making strides towards earning their silvers. Once the morning’s activities had ended, Timberlake once again reconvened at the dining hall, this time for lunch. Once they arrived, everyone was treated to another great meal, philly cheese steaks and french fries! However, once again, the focus of the meal would be on the announcements, as the race in cabin inspection had only grown tighter. Since I last wrote the article (Four days ago), the race for the Golden Plunger and the Pizza Party that comes with it has heated up. The men of GreyBeard have made a last minute push for the glory, and their average cabin score has been going up as a result. Today, their drive would not let up, as GreyBeard earned a near-perfect score of a 9.95, besting the next cabin, Big Slaty, a fifth of a point. After lunch came rest time and free time, and once everyone was adequately stocked up on Trading Post, campers went their separate ways to the afternoon’s activities. 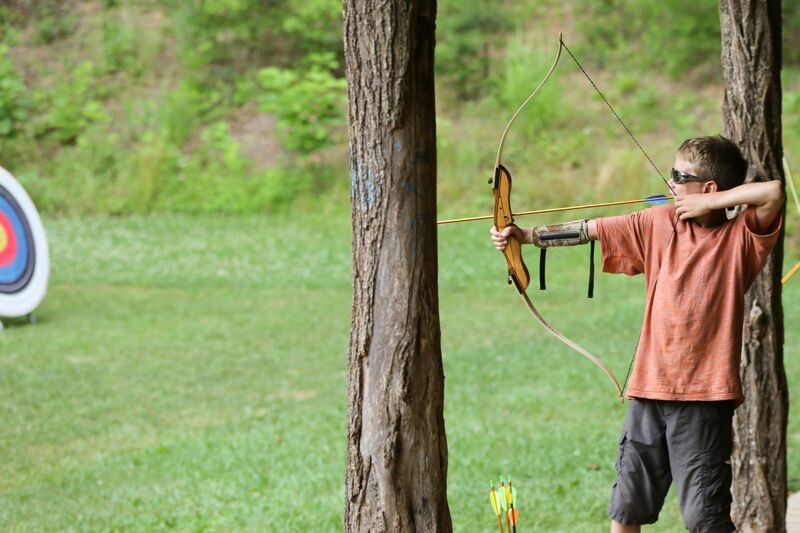 Back up the mountain, Kenneth H. earned both his bronze in Paintball and in Airsoft, while in Archery, Ryan C., Avery S., and Travis R. all recorded several groupings towards their bronze bars. Also happening this afternoon was the return of several trips that went out in the morning. Henry M., Henry B., Jack B., and James B. all got back from a kayaking trip to the Tuckaseegee, with Henry B. and Jack B. both achieving their first Combat Roll in a river. Great job guys! The fly fishing trip also got back around the same time, and the guys on that trip pulled in quite a haul. Aidan K. caught a huge Rainbow Trout, Drew S. caught two trout, and Brenden D. caught a nice brown trout. All in all, quite the impressive trip. Soon, the afternoon’s activities ended, and for a final time in the day, Timberlake met at the dining hall for dinner. The anticipation of the evening activity announcement was felt by everyone, as campers and staff both looked forward to finding out what tribal contest they would be competing in that night. As the meal drew to a close, Tomahawk counselor Nick L. donned the Program Helmet and made the announcement – Stealing Skins! As you look back over the course of a whole day here at Timberlake, it’s easy to see why this place is so special. The incredible things that happen here every day are simply awe-inspiring and result in a fun, empowering environment. How fortunate are we that we we get to do it all again tomorrow.